"He spoke to them like they were his own." This touching act of kindness towards animals has gone viral — and it's easy to see why. Last Tuesday, Argentina's capital of Buenos Aires was hit by a severe thunderstorm which left the city reeling and wet. Amid the heavy downpour, however, one local bus driver saw fit to offer a free ride to at least two unlikely passengers. 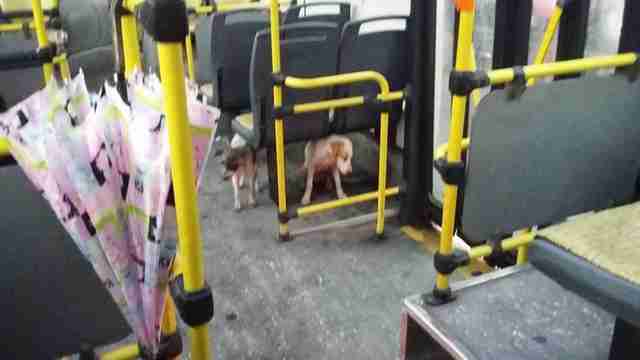 After spotting a pair of frightened street dogs shivering unprotected from the rain outside, he stopped the bus and carried them aboard. Evidence of the driver's compassion wasn't lost on his human passengers. "They were two very scared little dogs," witness Stella Maris San Martín said, as quoted by Minuto Uno. "He never tried to put them off. He spoke to them like they were his own." A photo taken aboard the bus shows one of the dogs even resting at the driver's feet. It's unclear if the driver picked up more stray dogs as he continued on his route, or what happened after the ride finally ended - but for his gesture of love for those needy pups, the unnamed bus operator is being called a hero. On Facebook, a post describing his actions that day has been shared more than 10,000 times. The driver's identity has yet to be revealed, but even his superiors with the transportation company are hoping he'll come forward. 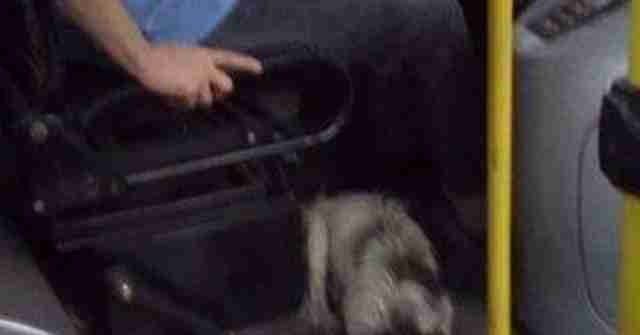 Though pets aren't normally allowed on the buses, they too have praised his actions - calling it a show of solidarity.